Welcome to the Zygistudio stock media site. In our portfolio we currently have 6000+ royalty free stock footage and sound media files covering many subjects including time-lapse of growing plants, nature, travel, architecture, infrared life, 3D and others for use in film, television, commercials, interactive web sites, and other multimedia productions. We use the latest Canon (Canon 5D Mark III) and Panasonic (GH4 4K, DMC FZ2000) cameras to produce the video clips. For time-lapse production we use many LED-lighted lightboxes, computerized turntables, multiple Canon cameras operated by computers and automatic intervalometres. Zygistudio is owned by Zygimantas Cepaitis who is well known in stock time-lapse video production industry. 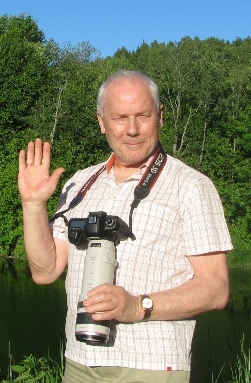 Zygimantas is an expert with Canon and Panasonic cameras, computer software and technical development of lightboxes. In post-production Zygimantas is expert in Adobe After Effects and Sony Vegas software. Zygistudio stock footage, sound and images are available for licensing on many microstock sites. Check our portfolios on: Pond5, Shutterstock, VideoBlocks, SPL, Motionelements, PIXTA, ClipDealer, Fotolia, Istockphoto, and others. We also accept custom requests for creation of special video clips or modification of existing ones. Use the Contact page to get in touch with us. Licensing of the Zygistudio media is made through Pond5 microstock agency.